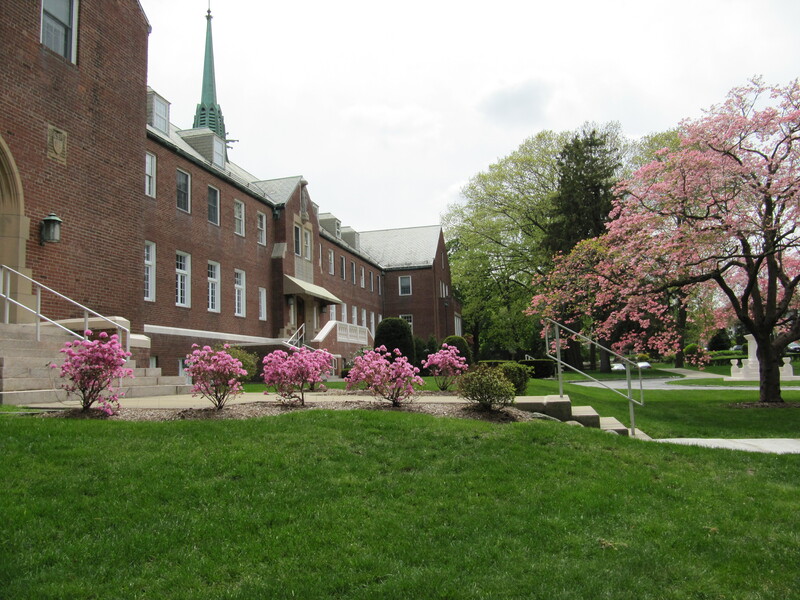 Our founding sisters, who first lived in an abandoned building in Chinatown, in 1906, worked hard to earn enough money to purchase this land in Jamaica Plain, but still depended on donations from people like yourselves, to make possible their dream of a more suitable place for our Franciscan contemplative life and the increasing number of sisters. And all through 112 years YOU have continued to make our life possible. This is really YOUR monastery. Once again, our future calls us to embrace a new phase in our long history of 112 years serving people of the Archdiocese of Boston. In order to make it possible to remain here for you, giving our lives to our Church and our world in the deep union of love and prayer made possible by our Franciscan contemplative form of life, we had planned and hoped to build a compact monastery, that would be more economical to maintain in Boston’s expensive economy. But our plans have come to a standstill, since we have not received the needed permission to erect a new building. It seems God heard the prayers of our many friends and neighbors who pleaded with us not to leave them. As far as we can see now, and much to their joy and delight, and ours, we are happy to remain in this place which we love, as long as we can manage to do so. So, now, depending totally upon God’s Providence so graciously expressed in your continued kindness and generosity towards us, we have a huge project ahead of us. Instead of raising funds to supplement the cost of a new monastery, urgent repairs are needed on our 85 year old building, starting with a leaking roof and crumbling bricks and cement. We do the best we can by our daily works of distributing altar breads to hundreds of parishes, making liturgical vestments, and other handmade items, printing prayer cards, managing our little gift shop, besides the daily tasks of maintaining ourselves and this large building. But all this does not earn enough. Besides ourselves, we have continuously supported our fifth foundation, the one made in Japan in 1960, as there are still so few Christians there. So, we are our sisters’ keepers, also. Will you try to help us in our present need? We know we cannot do it without you, and we are tremendously grateful for any donation you may be able to give. You may be assured of our devoted prayer for you. Thank you and God bless you! PAY PAL is available on our CONTACT page. P.S. Since this page was written, our cornerstone has been repaired, and brickwork has just been completed to fortify our front stairs. We thank you with all our hearts for your help to do this. Your Poor Clare Nuns of Jamaica Plain, Boston, MA.